Technology is transforming the way customer service is being delivered. 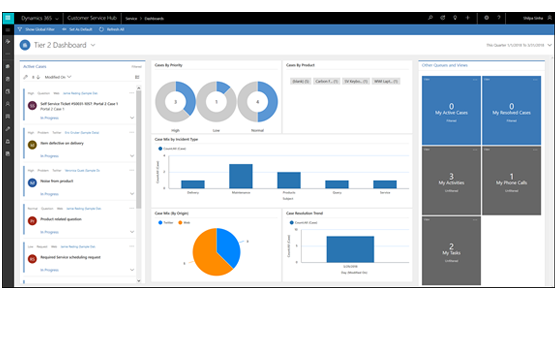 Microsoft Dynamics 365 for Customer Service enables your team to manage customer cases faster than ever before, providing the best service possible and keeping your customers happy and loyal. 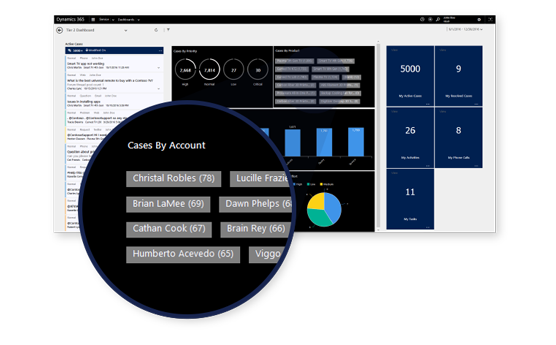 Dynamics 365 for Customer Service handles contracts, resources, work hours, unified service desk (USD), contacts, accounts, case management, and custom entities. With its implementation, you will be able to provide your employees with multiple tools to provide more effective and efficient support, foster a more personalized customer service and automate all types of operations to increase productivity. Your company will be ready to give an immediate response in any channel, optimizing the available resources so that your professionals focus on the client’s needs.By achieving more direct and agile relationships, your team will reinforce the image of your company for the public and improve the loyalty of those who already trust your services. 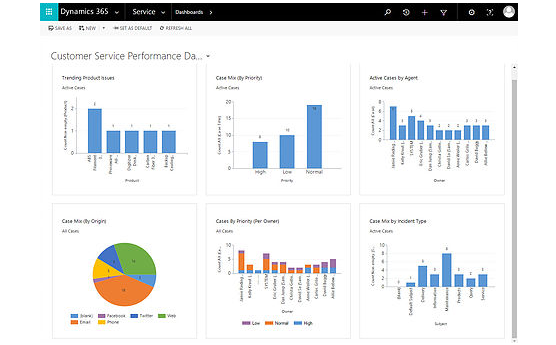 Dynamics 365 for Customer Service will mark differences in both the satisfaction rates and the profitability of the projects. Tap into the wisdom and experience of your team with shared meeting notes, events and custom sales documents created with real-time co-authoring. Give your agents the tools, guidance, and data they need to resolve issues. Agents will speed resolutions and deliver a more personalized, effective level of support using service software that accesses all customer information in one place even pulling data from systems outside customer service. 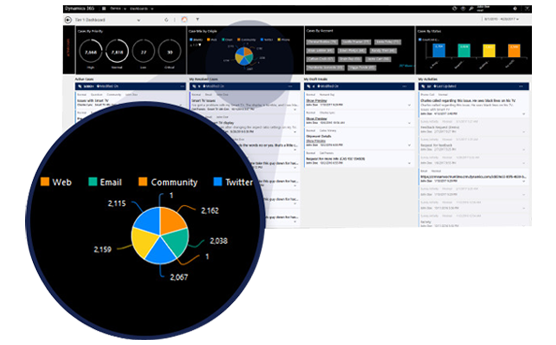 Provide real-time views of key service metrics through fully customizable, interactive dashboards. 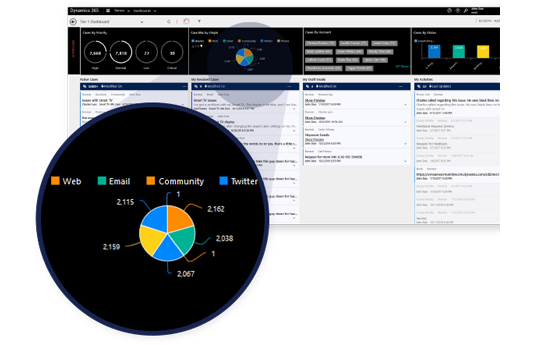 Deepen customer insight and identify business opportunities by tracking and correlating customer satisfaction with service metrics. Identify trends, explore scenarios, and forecast outcomes to reduce effort scores, improve performance and identify best practices. Are You Ready to Enhance Your Customer Service?